Below are some snippets from a recent interview with Doug Casey. I agree with most of what Casey states, but I don't believe, as Casey does that Alexandria Ocasio-Cortez is not very intelligent. That is unless you think Vladimir Lenin was not intelligent. AOC, like Lenin, is not an advocate of free markets but that is because her focus, like Lenin's, is not in that direction. Where she is focused, the gaining of power, she is extremely skilled and demonstrates remarkable savvy. She really is extremely skilled at advancing her agenda: Power in her hands. 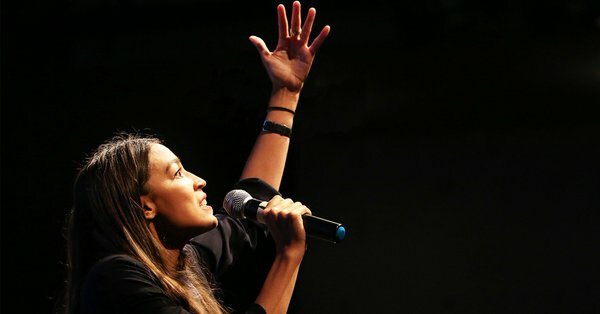 Most likely she’s the future of the Democratic Party – and of the U.S.
I’m afraid Alexandria is evil on a basic level...The world would be better off if she went back to waitressing and bartending. 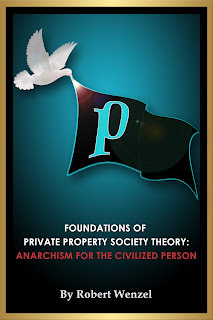 The free market, individualism, personal liberty, personal responsibility, hard work, free speech – the values of western civilization – are being washed away, everywhere. Nobody, except for a few libertarians and conservatives, are countering the ideas AOC represents. And they have a very limited audience. The spirit of the new century is overwhelming the values of the past...When the economy collapses...everybody will blame capitalism, because Trump is somehow, incorrectly, associated with capitalism. The country – especially the young, the poor, and the non-white – will look to the government to do something. Look at this from AOC’s point of view...She’ll be idealized, lionized, and apotheosized by an adoring public. The media will hang on her every word. That’s pretty rich for a stupid, evil dingbat. Other young socialist idealists will try – and succeed – in replicating her success. Congress will increasingly be filled with her clones. Damn you libertarians are dense strategists. I can see Machiavelli face-palming himself now. The best path for libertarians right now is Trump 2020 -> Rand Paul 2024. In order for that to happen we need to first win the hearts, and only then the minds of the disaffected and disillusioned. The best strategy for libertarians is to highlight how Trump aligns with both their own and the "disaffecteds" values. Ending the wars. Prison reform. Legalizing Hemp. Small business tax cuts. Ending tax "loopholes" for the wealthy. We can point out that no "establishment" Democrat or Republican achieved these reforms, including Obama and that we shouldn't trust Johnny-Come-Lately's backed by the "establishment" no matter how radical they profess to be. Trump is anti-establishment and he's already in power and knows how to use it. Let's align and accomplish some more good. When these people see themselves "winning" then they can break alliance with the AOC's of the world. If they see Trump as a racist oligarch and they see libertarians as racist and heartless, then we still lose. They will adapt all the causes of the totalitarians - killing free speech, using political power to infringe rights and stifling any real dissent in the future. Our job is to point out how Trump is helping the "disaffecteds." It shows 1) we care about people too and 2) allows us to transition from Trump to Paul. She gets the presidency in exchange for free market healthcare. Deal of the century. I hardly needed to read further than "we need to first win the hearts, and only then the minds of the disaffected and disillusioned." Thats not going to happen. 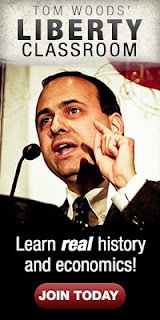 Casey knows instinctively that Libertarians that think there is any hope at wooing are foolish at best. The only thing that will grab peoples attention now under 30 is if this country crashes and burns like Venezuela and the idiots are culled from the masses when they dont even know how to save themselves. Ron Paul did it. He would have been president if he were more skilled in insider politics. Trump brought in Manafort to stop the GOP from stealing the nomination from him like they stole it from RP. Why did young people like RP? #2 is the most important, but is only received warmly if 1) is met first. End the Wars. End the Fed. Stop the Cronyism. End the War on People who use drugs. The Establishment screwed the people - poor, middle class, old and young. They are the problem. Let's get them out of power. Ron Paul didn't bash Occupy Wall Street. He said he was SYMPATHETIC to their cause and anger, but articulated a more sophisticated description of the problem, which allowed him to authentically suggest a different solution. RP blamed the Fed Govt for the poverty and horrible schooling in urban America. He didn't blame 'lazy' welfare recipients; he said he'd cut all other wasteful spending and reform the way government works before touching welfare. 4) Offer solutions. These will only be heard if the other three conditions are met first. It's the old saying "People don't care what you know until they first know that you care." And it doesn't take being a left-libertarian. It's commiserating with people on their plight, taking up their causes where in instant alignment (drugs and war and value of money) and then shifting the masses' attention to the real fountainheads of misery in society - big government and The Fed. Libertarians need to be skilled in political judo since we're so small in number. Instead, we've been trying feckless power-plays (second hand dealer BS) or just throwing rhetorical bombs from the sidelines or sitting out altogether (a huge tactical mistake as a 5% bloc can swing most elections). Look at how Rand Paul has adjusted. He's doing it wonderfully. It would have been easy for Rand to launch attack after attack on Trump, especially after Trump dissed his hair and knocked him out of the race. Instead Rand learned from Trump, recognizing that there's a method to his madness. He adjusted and is now a key ally and influencer. Watch for Trump to build Rand's brand/clout in 2022 leading up to the 2024 election. If AOC is brilliant, DJT is no buffoon. I agree, they both have their own genious.